Son of Charles Hartley and Olive May Gale; husband of Doris Jane Gale, of East Finchley, Middlesex. Adrian Lee's mother kept contact with Leslie's widow for quite along time after the war. Buried in SUDA BAY WAR CEMETERY. Reference : 16. C. 19. Son of Matthew Arnold and Eileen Emma Gallagher, of Kingston Hill, Surrey. 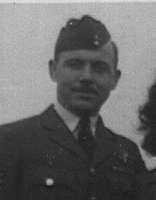 Flt/Lt William Anthony Gallienne AFM , Captain, 3132036, Royal Air Force , Nationality : United Kingdom. KIA 19 August 1968 Age 36. Buried in MARHAM CEMETERY. Reference : Row 3. Grave 18. FS John Gambold, 577445, Signaller. Also know as "Taff". Born Abercrave, South Wales, 21 December 1922. 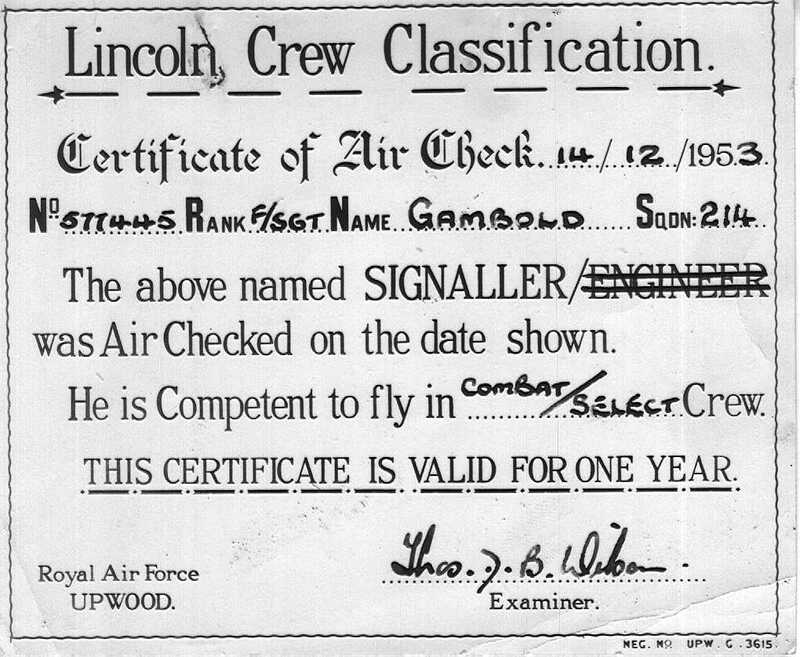 Enlisted in the RAF on 7 October 1939. Re-enlisted in 1941 as a wireless operator. Trained initially with 272 Squadron, then 227 Squadron. Posted to Khartoum October 1944. Then to 230 OCU Scampton. 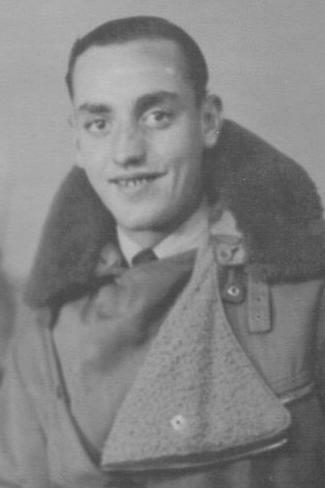 After which he was posted to 148 Squadron, Upwood joining 214 Squadron on 18 September 1951 where he stayed until joining 7 Squadron on 7 January 1955. He finally joined 1426 Flight in January 1956. He flew Avro Lincolns at 214 Squadron serving in Kenya during the offensive against the Mau-Mau and until the Squadron was disbanded. 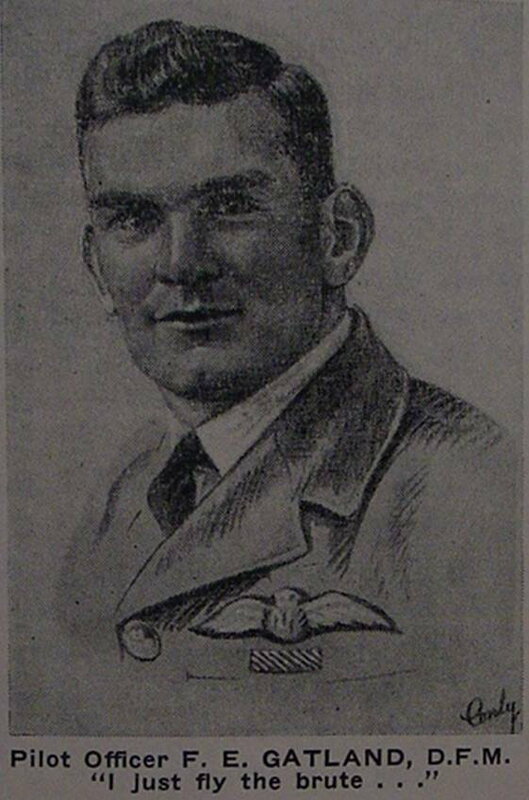 He was a member of the first NCO crew to win the Laurence Minot bombing trophy with 7 Squadron. He remained in the RAF after his flying ended transferring to telecommunications serving in Rudloe Manor, Malta, Cyprus, Gan and the MOD, until retiring to civvy street 20 December 1968. After the RAF he worked for Honeywell Computers until his retirement. He transferred from 214 Squadron to 7 Squadron date unknown. Source : Dave Gambold, son of John Gambold. Al died in 2010 and his funeral took place on 10 December 2010. Al was a navigator on the Victor on 214 in the early 70's. He had previously flown the Canberra and Valiant. He was heavily involved with the 2 V-Force reunions that have been held. This Monday just gone (November 2004) I drove up to Leeds and collected my aunt and took her to the grave at Feltwell. It is in the cemetery behind the small church next door to the Chequers pub in Feltwell. Two of the other crew are buried alongside. Son of Basil Roy and Aletta Margaret Gates, of Loveland, Colorado, U.S.A.
From London Gazette Issue 35791 published on the 17 November 1942.
level, while his gunners engaged the searchlights and gun emplacements. This airman, throughout his many operational sorties, has set a fine example by his determination, ability and devotion to duty." He spent the last 8 years of his life writing his memoirs, primarily for family interest. His son Arthur has now taken on the challenge of updating his memoirs, particularly looking for more photographs. Frank died in New Zealand ion 12 June 2007, aged 90. 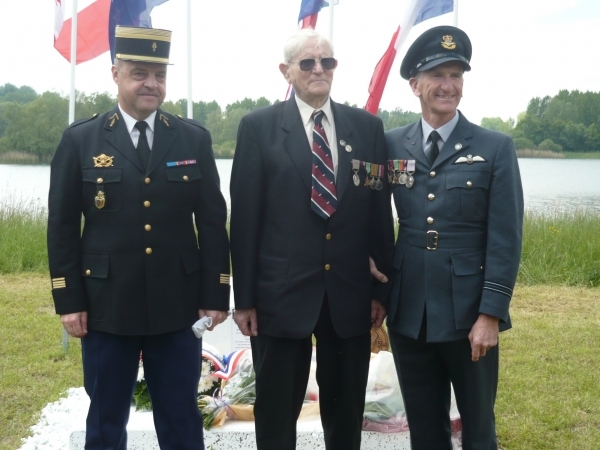 In May 2013 a memorial service for the crew of Stirling R9194 was held in France, arranged by Herve Savary. Arthur Gatland, son of Frank Gatland, attended along with Cyril Penna, the last survivor of the crash. 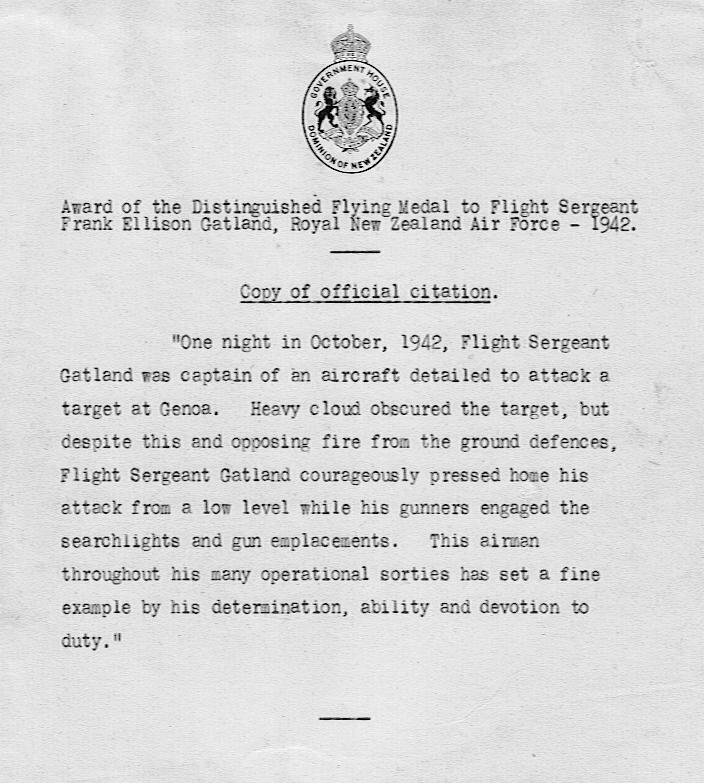 Arthur Gatland (son of Flt/Lt Frank Gatland) has written a book of Franks's war record. It is called ESCAPE The Best Sport Ever!. Click on the name to see a description in the Gift Shop. Pilot Officer Gaunt's operational missions have included sorties against such heavily defended targets as Berlin, Hamburg, Turin and Genoa. ;He has experienced attacks by enemy night fighters on several occasions. ;These have invariably been beaten off or evaded successfully as the result of the skilful direction given by Pilot Officer Gaunt. NOTE: DHist cards have a more detailed account, published in AFRO 1338/43 dated 16 July 1943. Pilot Officer Gaunt is a rear gunner who has served in this squadron since July 1942. ;His operational missions have included sorties against such heavily defended targets as Berlin, Hamburg, Turin and Genoa. ;He has experienced attacks by enemy night fighters on several occasions. ;They have invariably been beaten off or evaded successfully as the result of the skillful direction given by Pilot Officer Gaunt. ;He has always set an excellent example to other aircrewss and much of his success as an air gunner has been due to the care and efficiency with which he prepares for operations. NOTE: On a form dated 26 July 1945 he stated he had flown two tours with Nos.214 and 192 Squadrons (30 and 18 missions respectively), June 1942 to 24 May 1944, totaling 280 operational hours. ;Nothing to indicate when he began his tour with No.192 Squadron, but as he took a Gunnery Leader Course at Sutton Bridge, December 1942 to January 1943, it would appear the course marked the conclusion of his first tour. Buried in DURNBACH WAR CEMETERY. Reference : 2. F. 9. Son of William Charles and Jane Louise George, of Brighton, Sussex. Son of Thomas Marshall Gibbney and Alice May Gibbney, of Wallsend, Northumberland. Buried in HOTTON WAR CEMETERY. Reference : IV. B. 2. Son of Edward Clement Gibbs and Florence May Gibbs; husband of Ceridwen Margaret Gibbs, of Penticton, British Columbia, Canada. Fg/Off J A Gibbs RCAF completed a tour as a mid upper gunner wtith 214 sqn. starting in mid 1942. 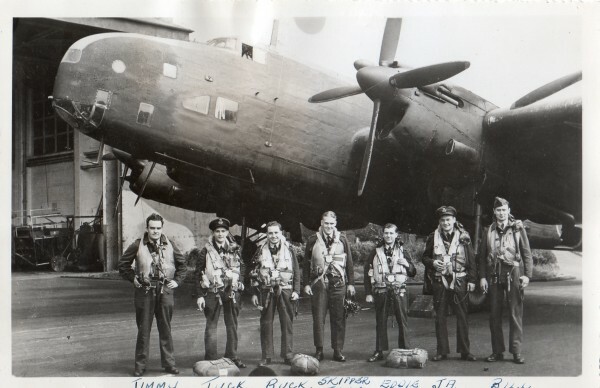 Can anyone identify the names of the crew and the aircraft? They are marked from L-R as Jimmy, Tuck, Buck, Skipper, Eddie, JA (Jack) and Bill. After his tour with 214 Squadron Jack taught at an Air Gunnery School and in 1944 he joined the Canadian 419 Lancaster Squadron. He was killed in action with this Squadron. The village of Hotton was the western limit of the great German counter offensive in the Ardennes in early 1945. Buried in HAMBURG CEMETERY. Reference : 5A. F. 1. Son of Ernest and Laura Gibson, of West Hartlepool, Co. Durham. SEE CREWS AND LOSSES for Flying Fortress (model unknown) ? ?Gilbert (8 May 1944) BU-? 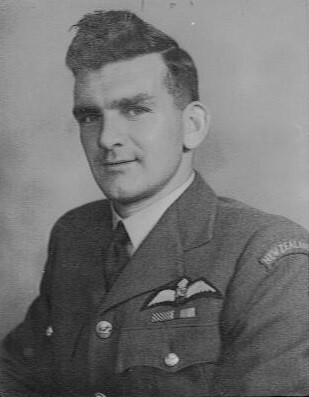 Colin served with 214 Squadron from 1937 through to 1940. During that time, while captaining a Harrow he had to order abandon ship at 11,000 feet, at night, over Pontefract; and had to belly-land a Wellington with damaged under-carriage. These were two of the four crashes he survived before succumbing to Flak over Mannheim in 1942, again in a Wellington but with 460 Squadron. Colin attended Maitland High School. Aged 15 in 1933 he enrolled at Prince Alfred College Adelaide. In 1935 he was awarded a flying scholarship and was selected for training at No1 FTS at Point Cook. He trained in a DeHavilland Gypsy Moth and and a Westland Wapiti light bomber. On 7 December 1936 he was awarded his wings and given the rank of Pilot Officer, aged only 18 years old. On 7 January 1937 Colin was selected for Special Training with the British Royal Air Force. He sailed to England on the Royal Mail ship "Orford", arriving in Britain in February 1937. Colin was granted a "short service" commisson as a Pilot Officer on 6 March 1937 and was posted to No3 FTS at RAF Spitalgate for assessment on the Avro Tutor. Two weeks later on 20 March 1937 he was posted to No9 FTS at RAF Thornaby where he progressed to the Hawker Hart and the Hawker Audax. On 30 June 1937 he was posted to 214 Squadron at Feltwell flying in a Handley Page Harrow, the largest land-based aircraft in RAF service at the time. Colin was promoted to Flying Officer on 19 September 1938 and to Acting Flight Lieutenant on 7 July 1939. On 27 August 1939 214 Squadron, equipped with Wellington bombers, moved to Methwold. 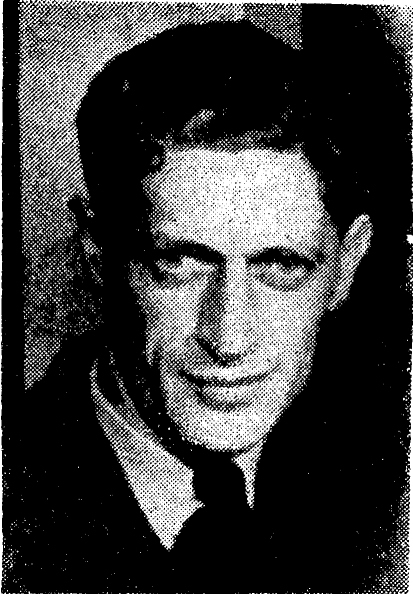 Colins engagement to Daphne Corbett, the daughter of Captain Noel Corbett RN, was announced in the Adelaide Advertiser on 17th January 1940. Daphnes father was a Naval Officer of some standing. He was Officer Commanding A Turret in H.M.S. Indomitable at the Battle of Jutland in the First World War, and had been called back from retirement to serve in the Second World War as senior Royal Naval officer on the Faroe Islands (27 Nov 1941 to 25 Feb 1945). Colin and Daphne were married in the Parish Church at Newmarket, Suffolk, on 20th April 1940. On 13 February 1940 Colin was posted to Flying Duties with 99 Squadron at Mildenhall. On 17 May 1940 Colin was posted to RAF Station Harwell for Flying Duties. No.15 OUT had been formed a month earlier, on April 8th, from No.3 Bomber Group Pool. Its function was to train night bomber crews using Wellington bombers. It would seem that Colins experience and competence was to be employed in training bomber crews in the skills required for effective night bombing of enemy targets. Although a training unit, as part of their training crews carried out nickeling missions over France, and later even bombing raids over Germany. On 21 September 1940 Colin was promoted to Flight Lieutenant and posted to 75 (NZ) Squadron from for flying duties. 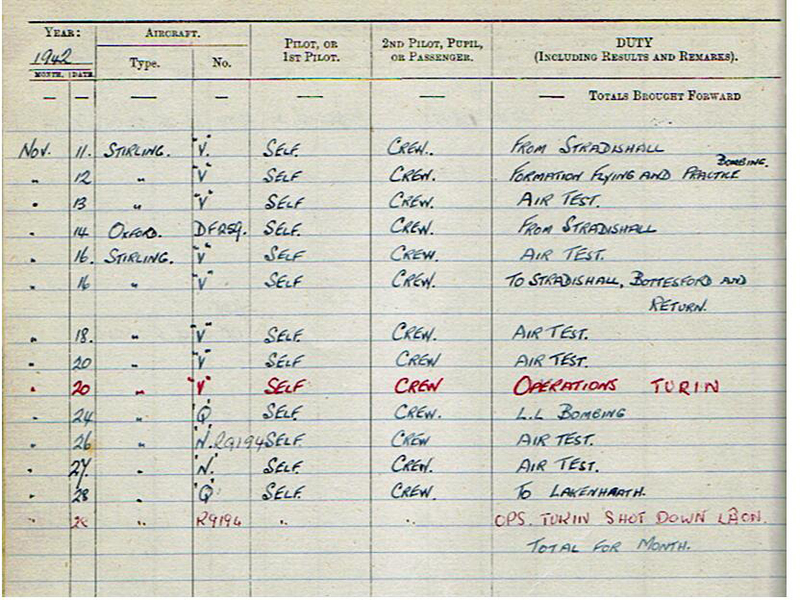 Colin's Service Record records that from 14 February 1941 he was again posted to No.15 OUT for "Flying Duties." 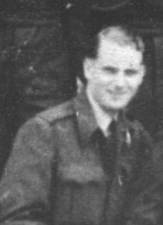 13 June 1941 Colin was promoted from Flight Lieutenant to Acting Squadron Leader, thought to have been the youngest Squadron Leader in the Commonwealth forces at the time. Colin and Daphnes son, David, was born on this day. On November 21 1941 Acting Squadron Leader C.L.Gilbert (Colin) was reportd having arrived at Molesworth from No.15 O.T.U. to be Flight Commander of A Flight 460 Squadron R.A.A.F. 1942 December 4th-6th 460 Squadron moved to RAF Breighton. Colins family moved to be nearby at 14 Tranby Avenue (official correspondence says Cranby Avenue in error), on the outskirts of York. He previously flew Stirlings with 214. Buried in MANBY (ST. MARY) CHURCHYARD. Reference : Grave 19. Son of Theodore Gregory Cooper Gill and of Flora Gill (nee White), of Palmerston North, Wellington, New Zealand. Buried in REICHSWALD FOREST WAR CEMETERY. Reference : Coll. grave 20. E. 1-3. Son of Reginald Charles and Florence Annie Gillard, of Westcliffe-on-Sea, Essex; husband of Margaret Alice Gillard, of Rayleigh, Essex. 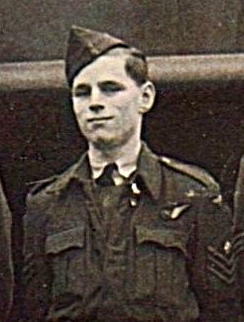 Ray Glass flew two tours with 214 Squadron. The first, on Wellingtons, when he flew as a Sgt Pilot from early 1941. The second, on Stirlings, he flew as a Flight Lieutenant in 1942-43, earning a DFC. Ray Glass was best man at Sgt Ralph Reginald Shipley's marriage and Jonathan Shipley (grandson of Ralph) was in touch with Ray until his death, attended his funeral, and is still in touch with Ray's family. Son of Samuel Glazer and of Polly Glazer (nee Nissenbaum), of Wellington City, New Zealand. Sol Glazer was from Wellington City, New Zealand. He was on his 5th mission when he died. Steve McCready's grandmother was dating Sol in New Zealand, prior to his joining up and sailing to the UK at the outbreak of war. Born in Shanghai China in 1920 and emigrated to Canada as a British citizen in 1927. He joined the Royal Canadian Air Force in 1942 and was discharged in the Autumn of 1945. In 1943 he was serving with 214 Squadron at RAF Downham Market in Norfolk. In 1944 he was at RAF Mildenhall in Suffolk. He was either a radio or radar technician. At some time during WW2 he was with 172 Squadron at Chivenor in Devon. Source : Donna MacIver, Great Niece of John Glen. CWGC states that Thomas was born in Newcastle upon Tyne. Family information states Retford Notts. Thomas's aircraft was shot down 25th May 1944. He was handed over to the Germans on 27 May 1944. "In memoriam P/O Hockley, Alan James Noel [sic.] Our "Skipper" and pilot, who gave his life, so that we may live, remaining at the controls of the aircraft, thus allowing all but one of us to parachute to safety. He was a native of Sydney, Australia, aged 26, who was always tolerant, generous, sporting and certainly one of the best pilots in the RAF or RAAF." After Tom's flight was shot down he was taken to Stalag Luft 7, Bankau, Germany (now Poland), in Jan 1945 they were all moved to Stalag 111A, Luckenwalde, Germany. FS Glenn died in Newcastle upon Tyne in February 2000 aged 77. Geoff still remains undiscovered by Leslie Bostock, who is still searching for him. Can anyone help with information please? Son of Chajim Leib Goldfinger and Dewora Goldfinger, of Haifa, Israel. Sgt Goldson was from Newcastle-on-Tyne. He was born in 1916 and initially joined 600 squadron aged 19. He joined 214 squadron "Conversion flight" on 5 April 1942 when he transferred from 115 squadron. When taken POW his leg was damaged, requiring surgery in a German hospital. His son Richard Miller, was able to get in contact with Stanley and met him after a 50 year gap in 2007. Son of Albert Edward and Ellen Louise Gordon; husband of Gladys Amy Gordon, of Greenford, Middlesex. On 2/3 August, 1943, at approximately 0200 hours orders were given to abandon the aircraft off Wilhemshaven. He alighted in the sea, a poor swimmer and wounded, near to his pilot Sgt McGarvey who, despite his own wounds, which rendered his legs almost useless, swam towards him. Searchlights were being played on them both as they tried to swim to the nearest shore position. When dawn broke they set course for a light vessel which could be seen in the distance. The tide was, however, carrying them- away from the vessel. Sgt Grainger was only just conscious and Sgt McGarvey, discarding his " Mae West," swam to the light vessel to obtain assistance. At 10.30 hours Sgt Grainger was rescued in an unconscious condition but recovered after artificial respiration had been applied. Warrant Officer McGarvey had assisted him for 8½ hours, eventually saving his life in most difficult and dangerous circumstances. Buried in REICHSWALD FOREST WAR CEMETERY. Reference : 28. H. 7. Buried in KIRKEE WAR CEMETERY. Reference : 9. C. 4. As the Special Operator, Olly kept apart from the rest of the crew so they did not know him well. The following information was provided by Eric Matthews who has a family connection to Sgt Eric Greenhalgh : Eric volunteered in 1940. He was trained at Calne in Wiltshire in October 1940, Blockpool 1941, then later posted to Isle of Islay, then Lossiemouth. He pasted out as a W/O AG August 1942 and was then posted to Stradishall. He came home on leave for his 21st birthday in January 1943. In February he was burned face and head during a raid and was allowed home to convalesce. During this time he attended my Aunts 21st Birthday, she was his fiance. He returned to Stradishall on 17 March 1943. She never saw him again. He was reported missing after a raid on Berlin. The crew of BF453, BU-L were all killed on the night of 27 March 1943. 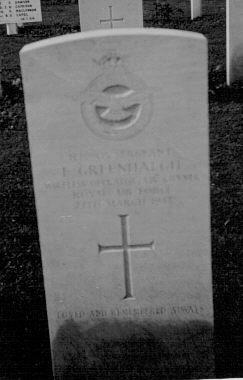 The grave of Sgt Eric Greenhalgh at the Hanover Military Cemetery. Son of William and Elizabeth Ann Greenhalgh, of Astley Bridge, Bolton, Lancashire. Buried in REICHSWALD FOREST WAR CEMETERY. Reference : 6. C. 15. Son of J. M. W. and Mary Greer, of Bloomfield, Belfast, Northern Ireland. 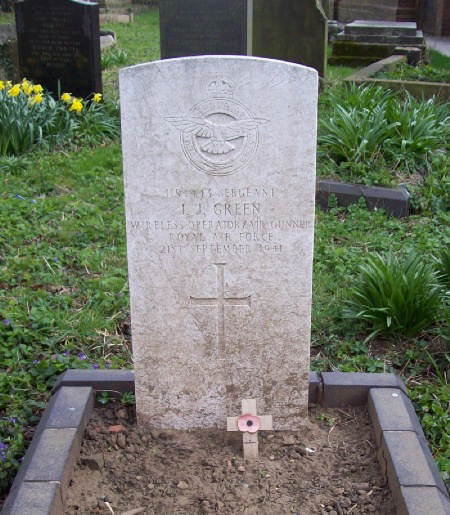 Sgt Greer's uncle states his role as Navigator, the CWGC states his role as Flight Engineer. 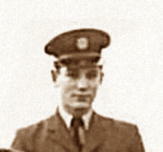 Flt/Lt Brian Gregory , Adjutant, 4066621. Died 28 July 1958 Age 26. Date of Birth 10 June 1932. He is buried at ECCLESFIELD CEMETERY. Stationed at RAF Marham. Born in Sheffield Yorkshire. Killed in a motoring accident while on leave. 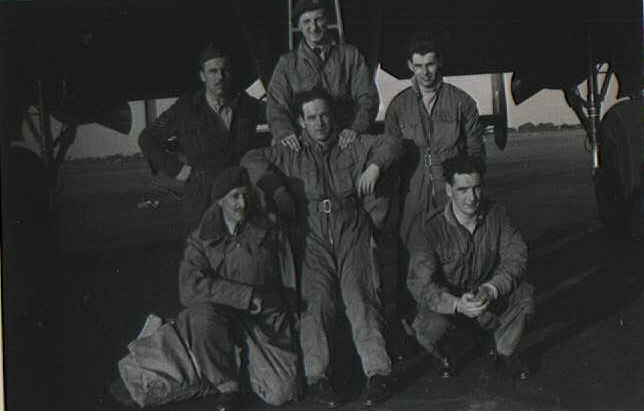 These airmen (listed above) were members of the crew of an aircraft detailed to attack Bremen" on ' the night' of 27th June, 1942 ( 27/06/1942 ), Sergeant Griggs acting as captain. The objective was successfully bombed., but over the target area the aircraft sustained much damage from anti-aircraft fire. One of ;the starboard engines was hit and put out of action. Shortly afterwards the bomber was subjected to an attack by an enemy fighter, fire from which caused further damage. Almost immediately a second fighter opened fire and Sergeant Wildey, the 1st wireless operator, was wounded in the arm. The first fighter then returned to the attack but was met with a long and vicious burst from Sergeant Waddicar's guns which sent the enemy aircraft spinning towards the ground, where it exploded on impact. Buried in MAGHERAFELT FIRST PRESBYTERIAN CHURCHYARD. Reference : Plot J. Grave 52. Son of Edward and Mary Griswold, of Magherafelt. Son of Robert Elvey Grove and Margaret Annie Grove, of Dunvant, Swansea. Sgt Grove evaded capture on 16 April 1943 and was later commissioned. He was killed on an operation to Berlin, while flying with 15 Squadron. On 14 July 1941 R1613, R1614, R1341 and T2913 took off from Stradishall at 23:15hrs on a mission to Bremen. Of the four aircraft sent by 214 Squadron this night, two returned to base which ultimately saved them from the disaster that lay ahead. R1341piloted by Pilot Officer Guild returned claiming that bad weather and icing conditions would not let aircraft climb. Flew Victor K Mark I B1A2P aircraft. John is a member of the 214 Squadron Association Committee. See WO Roland Williams personnel entry for a mention of Dickie Gunton. John was a Victor Co-Pilot with 214 Squadron and a Victor Captain with 57 Squadron. 'Dan was married to the beautiful Angela and very sadly they did not quite make their Golden Wedding Aniversary due to Dans death earlier this year. Dan left 214 1971 to become a Captain on , I think ,55. After leaving 55 Dan went on to a successful civilian flying career with Laker,Dan Air & British Midland. Dan & Angela lived at Kemble,Cirencester and we attended a couple of reunions. Of the four aircraft sent by 214 Squadron this night, two returned to base which ultimately saved them from the disaster that lay ahead. T2913 piloted by Sgt Gwilliam returned claiming engine trouble.